Metro Manila, May 22, 2018 – Mark your calendars as Pinoy Gamers converge for the most glorious gaming event of the summer through the Righteous Glory Summer Spirit Bomb! 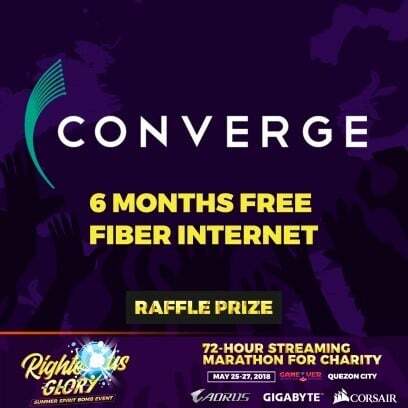 This 72-hour Streaming Marathon for Charity will be powered by the Pure Fiber Internet of CONVERGE - in cooperation with Rumble Royale Events Production, together with AORUS, GIGABYTE, Corsair, Dreamlords Digital, and the Streamers Philippines community. 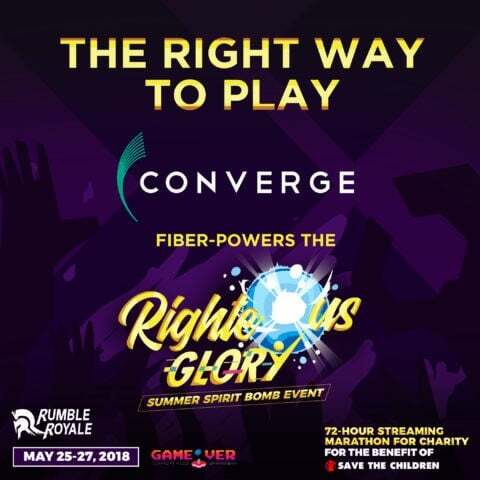 Along with Converge providing 1Gbps Speed for the event, Filipino live streaming fans will be treated to three days of non-stop video game fun for the benefit of the partner charity, Save the Children Philippines. Join the likes of Suzzysaur, Eri Neeman, Riku, GLOCO, and Sh1n Boo, together with other important Filipino streamers as they unite to embark on various video game adventures. All for the awesome cause of a better life for children. 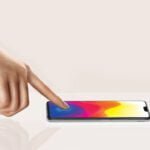 While the Righteous Glory Summer Spirit Bomb promotes #PositivityThroughGaming, it also guarantees 3 days of frantic fun and exhilarating excitement for the attendees and viewers. 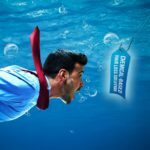 Everyone will be given chances to win exclusive freebies and prizes! 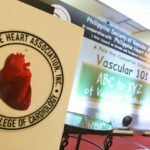 Want more reason to get more pumped up for this event? Jiggernut’s paper craft models (inspired by popular characters from League of Legends, Halo) and an Infinity Gauntlet-style statue crafted by the one-and-only Carlo “Dragonkid” De Laza are all up for grabs! Can it get any better? It can as Converge is having its own raffle for the event and these prizes await the lucky winners! 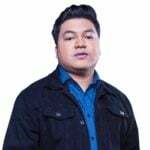 See you on May 25, 26, and 27 at Game Over PH, located at Xavierville Avenue, Quezon City for the 72-hour Streaming Marathon. And, yes, this event is FREE for anyone who wishes to be part of the action in the venue while others can experience the excitement wherever they are by watching the live broadcast online at twitch.tv.rumbleroyale. This is how you play, the Converge way.